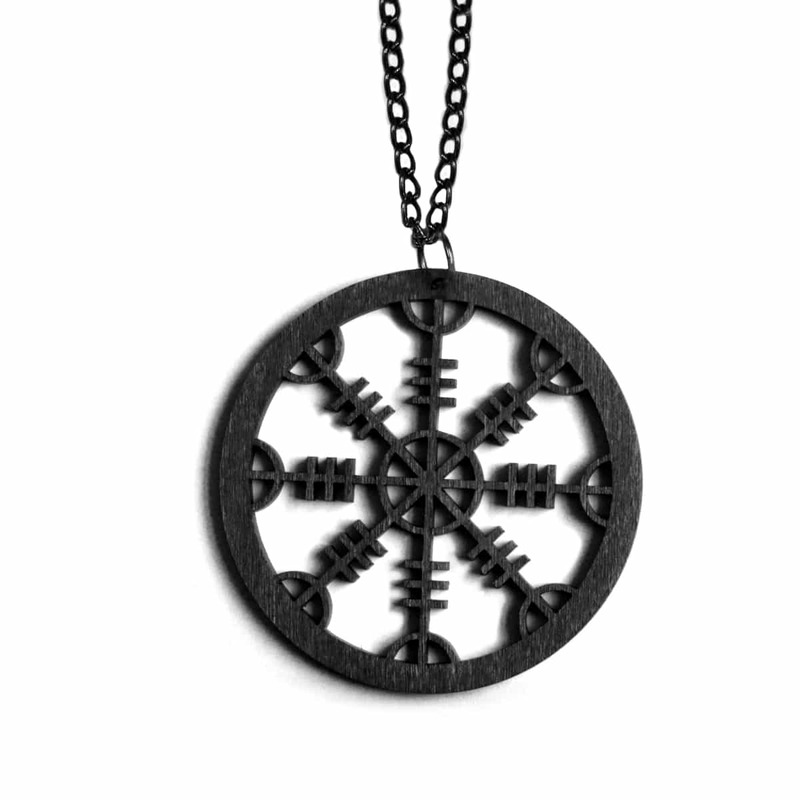 High-quality birch wood necklace with a Helm of Awe symbol. Custom made for Hellaholics and produced in Finland. Wooden black colour. Vegan suede cord (lets leave the animal killing with the Vikings) with non-allergic stainless steel settings or nickel free metal alloy chain. Light-weight, comfortable for everyday wear. 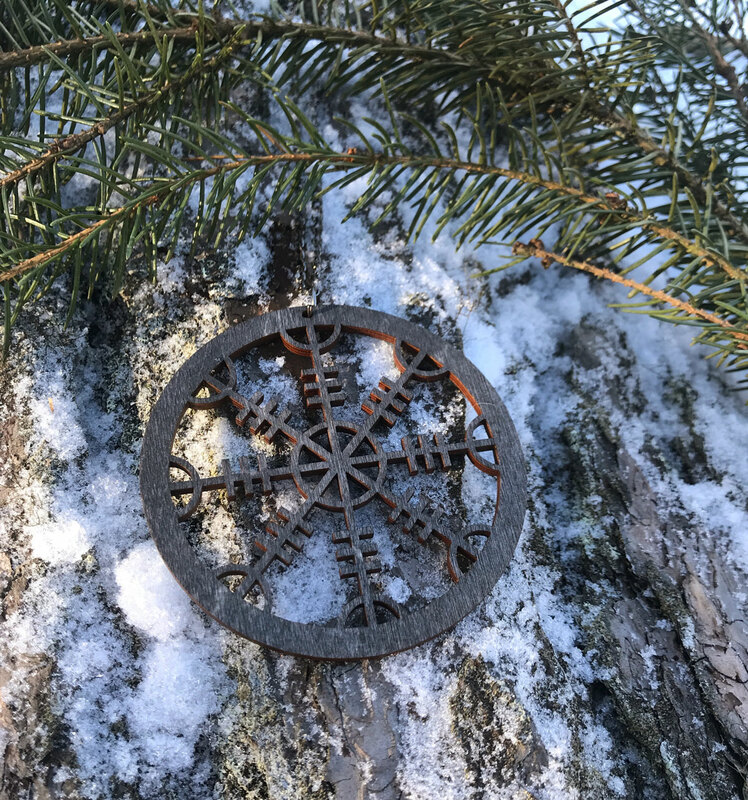 The Helm of Awe is a Nordic protective symbol believed to offer protection from illness and disease, and to protect against the abuse of power.